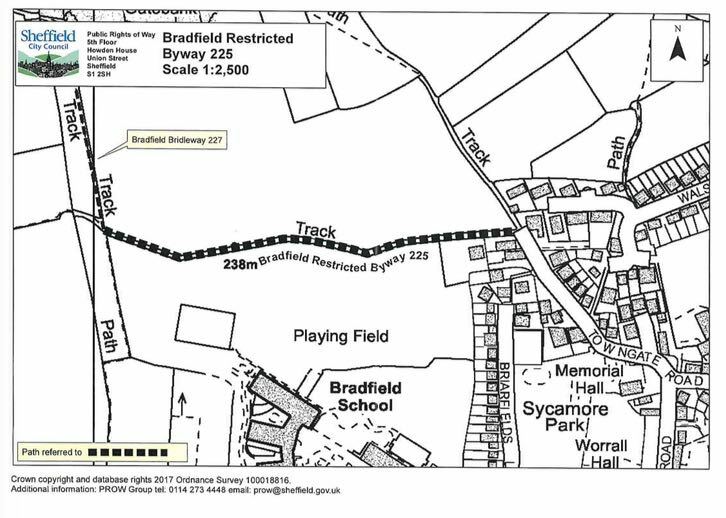 BRADFIELD NEW PATH YW Via 221 (July 2017) A new public footpath above Dam Flask linking Trouble Wood Lane and the Yorkshire Water permissive path along the reservoir site (see map link). 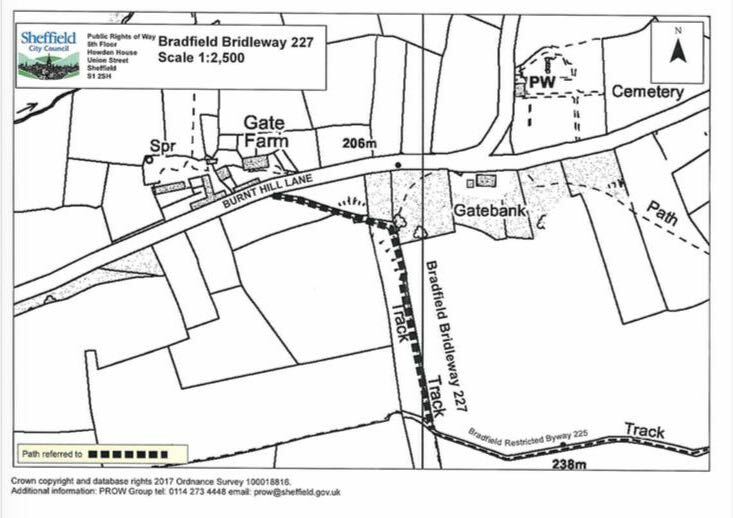 The above PLAN shows a new public bridleway in Dalton parish in Rotherham. It was created by negotiation with the landowner which happens to be the local Parish Council. Perhaps this could be publicised more widely? The grid references of the 2 ends of the new route are SK459.942 & SK458.938 on Explorer 278. The footpaths were permissive until the Peak Park negotiated dedications by the landowner. They are Footpaths 91 and 94. 91 runs north-south parallel with the main road and 94 west-east from the main road to the boundary of open country on Burnt Hill on the route up onto Mill Hill and Kinder. during normal library opening hours. The plan will remain on deposit until 30th November 2013. C). The total length of the path is 172 metres and will have a defined width of 2 metres. metres either side of a vehicle bollard at point B. There is a footbridge at point C.
The path is marked on the accompanying plan as a broken black line between points A and C.